There's no reason not to laugh! If we are ever going to get past the obstacles we have in life, we have to do so with a great amount of courage in the roughest times. No matter what we do, we can't do it without being positive, or we will ultimately be destined to fail. 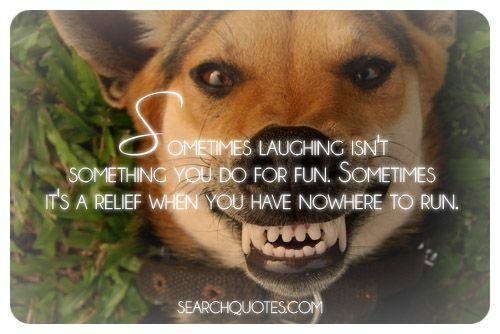 Instead of cowering in the face of adversity we should laugh, smile, and keep a positive attitude. 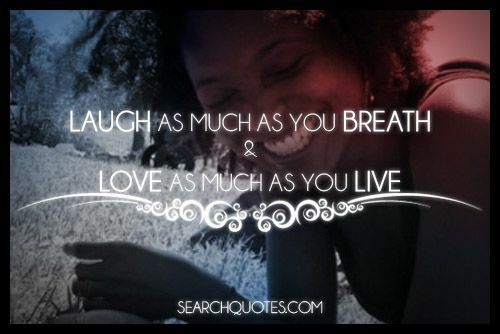 Laughter is some of the best natural medicine that we have available to us in this world. 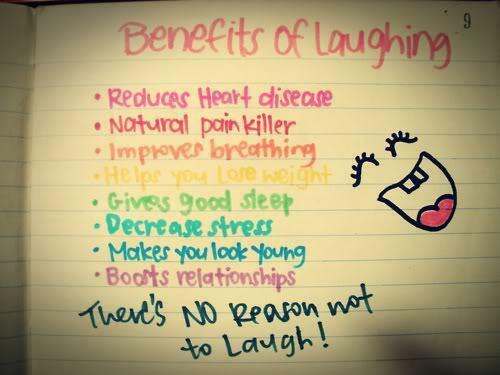 Laughter is shown to have tremendous healing effects along with and compared to other forms of medicine. Laughter allows for us to be relieved from the stress of any situation that we may be experiencing because it allows for us to step back, see the situation for everything that it really is so that we may best determine how to handle it, and grow from it. Laugh often and it will cleanse your mind. 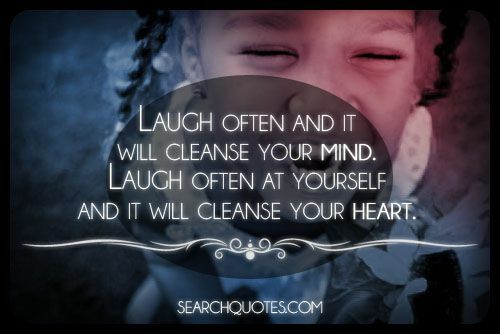 Laugh often at yourself and it will cleanse your heart. Though we often seem to forget natural remedies to life, one of the best ways to clean our hearts, and purge our thoughts, is to laugh as often as possible. A little known fact about a smile is how much harder it is to frown than smile. When you smile you use less energy and less effort than you do when you frown, and this is symbolic of what happens in everyday life as well. 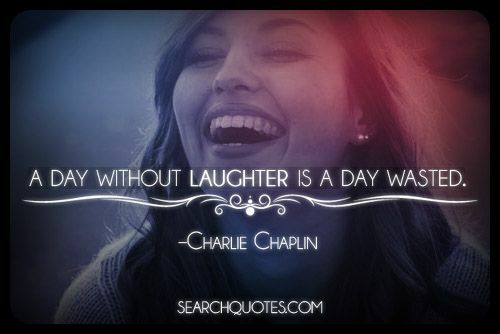 Laughter is one of the best nutrients a person can get in a day. Not only is laughter therapeutic for the soul, it is also helpful in building rapport with others, strengthening relationships, and it is helpful in bringing down our own personal stress levels. One of the most effective antidotes to the stresses of life is laughing a good laugh, and loving as much as we can while we live. When we hear laughter, we associate whatever situation we are in, with happiness, at least usually. When we just let go of our fears, and allow ourselves to be happy, even in the worst of times, it can change the playing field quickly.